This Sunday we will celebrate Reformation Day marking the day when Dr. Martin Luther stood up for the sovereignty of divine salvation. This year we will pay special attention to refugees. The Reformation challenged the very roots of the medieval authoritarian system of religious values. It was met with stiff resistance from the established and entrenched structures of power. Reformation was followed by a bitter religious cultural and political conflict. The Scottish Covenanters, Valdensian exodus across the Alps, Europeans killed and uprooted by the Thirty Years War, The St. Bartholomew's Day massacre, Puritans escaping English civil war and persecutions... you have probably heard at least some of these stories. 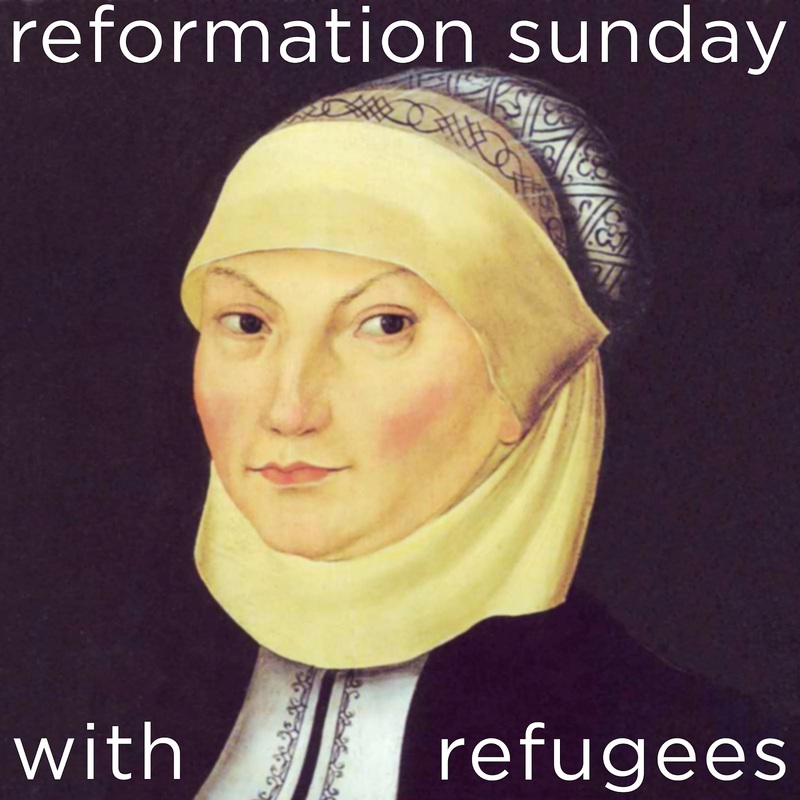 Reformation was not only a bright bolt of religious liberation, it also brought us this deep and intimate experience with religious persecution and exile. We must remember the persecution of our reformation ancestors not because we would like to instigate religious tensions, but so that we cultivate among ourselves a gentleness and sensitivity towards the religious exiles and refugees of our own days. Our own and our ancestors' experience with intolerance shall lead us to tolerance, the encounter with prejudice shall lead us to good will. We owe it to our reformation ancestors. Come to celebrate reformation Sunday with refugees. Katharina Luther around the year 1530, appropriately and fashionably veiled.